My husband and I just signed up for a farm share. We absolutely love coming home with bags of fresh veggies every week, but we find ourselves stumped by one item: kale. So far we have added kale to soup, pasta, and a quiche, but we still have a fridge full of the stuff. Any fresh ideas? 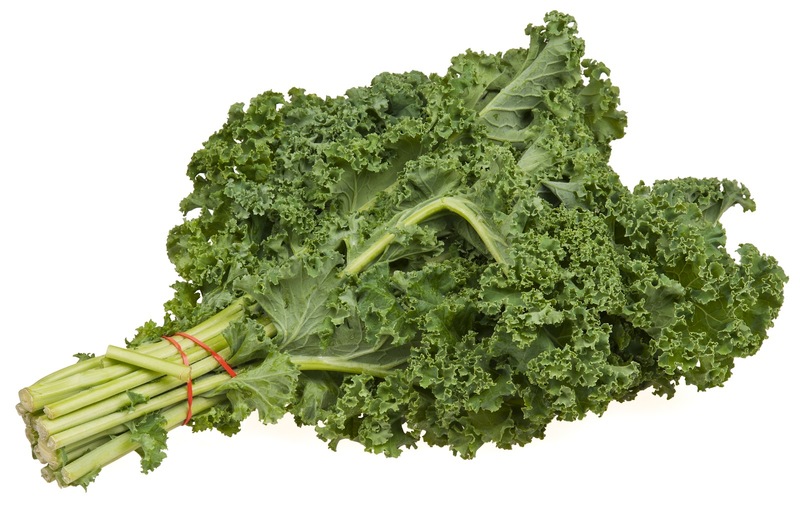 Kale is one of those super foods -- chocked full of vitamins -- that's all the rage lately. That said, I have absolutely no idea how to prepare kale. I've always been a picky eater, and trying new things isn't my strong suit. I've been trying to convince myself for two years to try olives -- still haven't worked up the guts to do it. However, Jen keeps her fridge stocked with the curly green leaf variety, so I asked her for some advice. Her top recipe? Kale salad, inspired by a salad she fell in love with at Rustik in Bloomingdale. Toss the ingredients, and feel free to make substitutions or additions based on what you have in your fridge and pantry. Have a question for me? Shoot me an e-mail at rowhouseHOME@gmail.com. If I don't have an answer, I bet I know someone who does!